Based on the popular 1992 disney film! Reserved tickets on sale april 1! Now is the time to seize the day with this inspiring tale... Based on the classic 1992 Disney film, and inspired by a true story, Newsies tells the story of Jack Kelly, a charismatic leader of a band of newsboys. When titans of publishing raise distribution prices at the newsies’ expense, Jack rallies the boys to strike against unfair conditions and fight for what’s right. 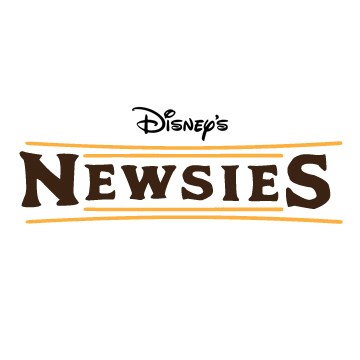 Disney’s Newsies features a Tony Award-winning score by Alan Menken and Jack Feldman, boasting classics songs such as “King of New York,” and “Carrying the Banner.” It’s perfect summer entertainment for the whole family!